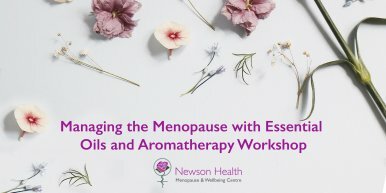 Come and learn how natural and organic essential oils can help support the vast and varied menopause symptoms. The Well School is an IFPA (International Federation of Professional Aromatherapists) accredited school offering a professional Clinical Aromatherapy diploma to its UK and international students. The school is based in South Northamptonshire, with a heart for the wellbeing of clients and students as they journey through the powerful world of organic aromatherapy. The school principle, Caren Benstead, invites you to come and learn how essential oils can be a valuable resource during this menopause season of transition. This informative and interactive session will include essential oil information and teaching. There will be opportunity to blend a product kit for yourself to take home using your new knowledge of essential oils. We will then take time to use the essential oils to support our mind and body through a relaxation meditation. Notes will be provided along with recipe sheets for the products you will create. Come to relax, enjoy beautiful aromas and learn more of what your signature fragrance may be. For more information about Caren Benstead and the Well School visit www.thewellschool.co.uk or email events@newsonhealth.co.uk.